This Imperial destroyer is broadcasting standard (albeit high-security) identification codes, but the military database contains no crew or mission records for a ship called "Tenebrous." Either the records have been eliminated or this is not a military vessel. This space station is located deep in the Null Zone--an empty region of space devoid of stars, planets and any known life. Ships traveling through the Null Zone are few, and high-intensity scans are rare; there's nothing to find beyond a few drifting wrecks. The station deflects all scans and probes and emits almost no energy. It is impossible to tell whether the upgrades to your ship aboard the Tenebrous will allow you to approach undetected. Tytun Four is the fourth moon of a gas giant in the Gacerian system. The surface and much of the interior have been largely replaced by databanks, power generators, maintenance tunnels and self-repair facilities--in effect, turning Tytun Four into a gigantic computer. In orbit around the moon are rings of derelict starships converted into additional databanks--added capacity for the moon. Archive node 803-A is a battle-scarred Imperial transport.<br><br>Alongside the derelict starships are several sleek, heavily armed corvettes, likely used by the mercenaries paid to defend against intruders. Long-range scanners have identified an Imperial dreadnaught in orbit around the Artus Five gas giant. Further information is unavailable at this distance; the cloaking device will engage automatically when within range of the Artus system. Isen IV is an asteroid satellite in orbit around the Isen gas giant. Too small to hold a breathable atmosphere, it nonetheless hosts a small Republic mining colony; tunnels honeycomb the inside of the asteroid, along with all the machines needed to support life. The colony is not broadcasting standard landing protocols. Long-range scans indicate no blaster scarring or signs of battle, and Isen Four's minimal external defenses do not appear to be active. The dreadnaught Spirit of Vengeance acts as Mandalore's mobile command center while he is away from his stronghold on Geonosis. Its intimidating silhouette and countless weapons emplacements leave no doubt that the vessel lives up to its name. A full-sized Imperial battle cruiser leads an armada of smaller vessels in a planetary assault on the world of Rabaan. The Carida is a standard Republic capital ship equipped for long-range patrols. The ship appears to have life support and power, but she is adrift and is not responding to communications. An Imperial dreadnaught of astonishing power, the Javelin is on a direct course for Corellia, escorting a large number of troop carriers. The Javelin is armed with several heavy turbolaser batteries and is capable of devastating a planet from orbit. A Republic capital ship normally assigned to the Core Worlds, the Fortitude was involved in the breaking of the Hydian Way blockade. The Supreme Chancellor hopes that having the Fortitude host the Rift Alliance will be seen as a gesture of respect by its members. Waypoint Station Three is one of several Republic facilities created during the war, originally intended to quickly restock and refuel military ships. After the war ended, they became convenient safe ports, often used by Republic allies or small trading vessels. The Euphony is an unregistered, privately owned vessel with minimal armaments and shields. There is no response to communications. Master Yuon Par's coordinates lead to a huge starship lingering in a distant sector. The ship appears Imperial, but scanners detect many upgrades and strange power fluctuations. Master Yuon's code should lower its defenses long enough for you to board. The military and the Sith have authority. Aside from the wildlife, the greatest threats are internal--slave revolts, feuding Sith Lords, and the like. Planetary defenses are formidable, as the Empire still remembers its defeat and exile long ago. This derelict Czerka research vessel was recently discovered by a passing salvage ship. It is unclear why the ship was abandoned, but sensor data suggests that it has been unused for several decades at least. This is an Imperial flagship, where three very prominent Moffs are meeting to see the demonstration of an amazing new superweapon. It is in range of both a Republic fleet and a separate Imperial fleet. This asteroid field once hosted a thriving ore-processing industry, but Czerka Corporation withdrew when profits dwindled. The company abandoned a small mining facility here. The Emperor's private fortress is a millennium-old construct orbiting the Imperial capital planet Dromund Kaas. A powerful cloaking device hides this ancient, virtually impregnable space station even from visual scanners. The Oppressor is Darth Angral's battle cruiser. It has been upgraded with advanced technology and a planet-destroying superweapon, which is now aimed at Tython. Acting on rumors that several important Sith Lords were gathering at Korriban's Flame, Jedi Knight Jomar Chul tried to infiltrate the heavily fortified station, only to be captured. Jomar disappeared, but if the rumors are true, the meeting on the station could offer some clue to the Emperor's plan to wipe out all life in the galaxy. Uphrades is one of the Republic's primary agriworlds: a lush planet with a temperate atmosphere and especially rich soil due to significant volcanic activity over twenty millennia ago. Nearly half of the Republic capital's food supply is grown and harvested on Uphrades, earning it the nickname "Coruscant's Granary." Sixteen million farmers and food technologists oversee the sustainable agricultural production across the planet's five continents. Warren Sedoru has captured the Valiant, the Republic flagship of Admiral Darbin. Exploiting the captured admiral's knowledge of Republic tactics, the fallen Jedi has turned the Valiant into an unstoppable weapon capable of crippling the Republic fleet. 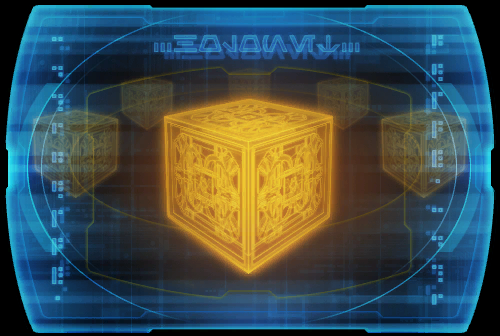 Through the years, the Sith Empire has accumulated many artifacts, devices and specimens deemed too powerful to destroy, yet far too dangerous for anything but the most careful, contained research. The Arcanum was built for precisely this reason. Commissioned in secret by the Emperor himself and operated under the aegis of Darth Acina of the Dark Council, the Arcanum is a vast storehouse, featuring first-rate security measures as well as the Empire's most cutting-edge research laboratories. Aside from its staff of hardened security officers and brilliant theoretical scientists, very few have been allowed a glimpse into the mysteries within. The Long Shadow is a lifeless region of space at the furthest edge of the galaxy. The only thing of note here is an unmarked derelict starship slowly drifting into a black hole. The starship Celestial Crow is a standard light freighter. The vessel's engines appear to be non-functional, leaving the ship drifting into the sun of an otherwise uninhabited star system. The infamous Port Nowhere is a converted Azalus-class Hutt dreadnaught retrofitted with over a hundred additional docking bays. This "flying space station" traverses neutral space near the Core Worlds, providing safe haven for less-than-legitimate business. The flagship of the infamous Voidwolf, the Regnant strikes terror in the hearts of those unfortunate enough to witness its arrival in their system. The Regnant operates outside the Imperial command structure, making it almost impossible to track using normal methods. However, a rare opportunity to infiltrate the vessel has presented itself in the skies above Corellia. The Imperial treasury cruiser, the King's Ransom, is a high-security space-faring vault that contains a sizable portion of the Empire's monetary assets. The King's Ransom is cruising in contested Hutt Space while the Empire's diplomats negotiate favors from the Cartel. This remote military prison carries a fearsome reputation among Republic soldiers. Until now, its location has been a secret known only to the highest Imperial officials. Port Raga is a backwater trading and refueling station that caters to all business, legal or otherwise. Ship traffic appears to be much lighter than usual. Commander Tavus's ship is at a full stop with all systems active. Jamming prevents any detailed scans of the ship's interior. Unfortunately, approaching this space station undetected requires that no sensor sweeps be made en route. Records describe it as an independently owned fueling and supply station. This massive Imperial dreadnaught hangs in space above the planet Quesh, smoking from a recent attack. Systems are online but the ship's been crippled. Republic fighters are swarming into the docking bay, laying siege. A starship built for speed, Jaesa Willsaam's starship waits at the appointed coordinates, ready to be docked. This unaffiliated space station doesn't appear on scanners. Sophisticated tech covers every inch, leaving no room for defenses. It clearly relies on invisibility to keep it safe. This Imperial warship is on course to Corellia. According to Quinn, it's using a special transponder signal emitter in order to verify its identity and pass through the Imperial fleet; such an emitter could be removed and repurposed for your own ship. Situated in the heart of Imperial Space, Ziost has long played a vital role in the intricate history of the Sith. For thousands of years, the craggy, arid world served as the ancient Sith Empire's capital until infighting splintered its leadership. The planet then became a major trading hub and earned a new reputation as the "Gateway to the Empire."